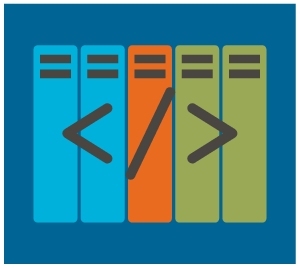 provides an API which analyzes unstructured text and generates labeled topic classifications based on the Dewey Decimal Classification (DDC). You can try out text2ddc here, or use the API. text2ddc is available under the AGPL license. Information is given according to § 5 of the German Teleservices Act. Legal supervision: Hessian Ministry of Science and Art, Rheinstr. 23-25, 65185 Wiesbaden, Germany. The contents are generated electronically and redacted manually. We assume no liability for any potential deviation from source texts. If you have any suggestion concerning an extension of our information supply or concerning a mistake that has to be corrected please send a respective message to support(at)hucompute.org. The president of the Goethe-University holds the copyright and all other rights of content and design of the webpages of the Goethe-University. The proliferation of contents, even in excerpts, for educational, academic or private purposes is permitted only with an indication of source, as long as the source does not make an explicit divergent specification. The use of layout and of any source text that is generated by a CMS in a modified or unmodified way as well as any commercial use of the webpages requires a written permission by the president of the Goethe-University. Being content provider, the Goethe-University is responsible for own contents that are made available for public use according to general laws. This legal notice applies to information supplied by the Central Administration Board and the central facilities of the Goethe-University in the WWW, that are endorsed by “© Goethe-Universität” and are accessible via the URL www.uni-frankfurt.de. The Goethe-University takes no responsibility for the completeness of these contents or their appropriateness for a certain purpose if use. The usage of contents provided by the webpages is the sole risk of the users. One has to distinguish between these own contents and links to contents provided by other facilities of the Goethe-University or by other content providers. Links are potentially dynamic means of reference. The editorial office for WWW matters of the Goethe-University verified each first linkage to third-party contents for whether they possibly give rise to a responsibility by civil law or by criminal law. The Goethe-University does not constantly verifies linked contents for modifications that may cause responsibility. If the Goethe-University notices or is made aware of a particular content that is linked from one of its webpages and gives rise to a responsibility by civil law or by criminal law, then this link is deleted. Despite of a thorough contentwise control, no liability is assumed for contents of external links. The content of linked webpages lies exclusively within the responsibility of the operators of these webpages. The Land court of Hamburg decided by a verdict from May 12, 1998 “Liability of links”, that by linking alone the linking party adopts a co-responsibility of the content of the linked webpages and thereby can hold liability for them. Co-responsibility can be prevented by explicitly distance oneself from all contents. Given this background, the Goethe-University hereby precautionary distances itself from all contents of webpages that are linked from its webpages. The Goethe-University neither has a bearing on design on content of linked webpages, nor does it adopt linked contents as its own. This declaration applies to all links and collections of links that currently exist or will exist in future. This data protection declaration serves to fulfil the duty of information required by Article 13 EU DSGVO when collecting data from data subjects at the time of collection. If you have any questions or complaints regarding data protection, please contact the data protection officer of the Goethe University. You have the right to complain to the supervisory authority about data protection problems. Right to data transfer, in a common, structured and machine-readable form (from 25 May 2018). Personal data is information by which a natural person can be identified, i.e. information by which individuals can be identified. This includes in particular names, e-mail addresses, matriculation numbers or telephone numbers. Data about preferences, hobbies, memberships or even information about websites that have been visited also count as personal data. Personal data is only collected, used and passed on by us if this is legally permitted or if the user has consented to the data collection. The use of personal data of students for the purpose of studying is based as far as possible on the applicable Hessian Higher Education Act in conjunction with the applicable enrollment ordinance of the State of Hesse and thus refer to EU DSGVO Article 6 paragraph 1 c). The data of the employees of the Goethe University for the purpose of personnel administration, teaching, research and examination activities are collected and processed on the basis of the Hessian University Act, the regulations on matriculation of the State of Hesse, TV-GU, civil service law and personnel law regulations. This data is used solely for the purpose of checking functionality, security and troubleshooting. This use is based on EU DSGVO Article 6 paragraph 1 f). All log files are automatically deleted or made anonymous after 7 days at the latest. In order to contact members of the Goethe University (e.g. via contact form or e-mail), your details will be stored for the purpose of processing the enquiry and in the event that follow-up questions arise. After processing your request or after fulfilment of the legal obligation or the service used, the data will be deleted, unless the storage of the data is necessary for the implementation of legitimate interests of Goethe University or due to a statutory provision (e.g. law, ordinance, statutes of Goethe University etc.). In addition to the data mentioned above, the user name or an identifier is collected in addition to the authorization control of data access. This data will be deleted or made anonymous after 7 days at the latest, unless the storage of the data is necessary for the implementation of legitimate interests of the Goethe University or a statutory provision (e.g. law, ordinance, statutes of the Goethe University, etc.). For all services not covered by these requirements, explicit declarations of consent are obtained. The deletion takes place here according to the specification of the used service. The deletion period is clearly defined in the list of processing activities. The legal basis here is EU DSGVO Article 6(1a). Within some pages of this online offer contents of third parties (such as videos from YouTube, maps from Google Maps, RSS feeds, graphics, etc.) from other websites are integrated. This always assumes that the providers of this content (hereinafter referred to as “third party providers”) are aware of your IP address. Because without the IP address, the third-party providers could not send the content to your browser. The IP address is therefore required for the display of this content. We make every effort to use only those contents whose respective providers use the IP address only for the delivery of the contents. However, we have no influence on any further use of your data (e.g. if the third party providers store the IP address for statistical purposes).